One of the best things about living on the edge of the woods is the surprises to be found every spring. This lonely pair appeared on the back end of a space cleared for a traditional garden, shyly sneaking in among the usual profusion of trillium and ragwort. 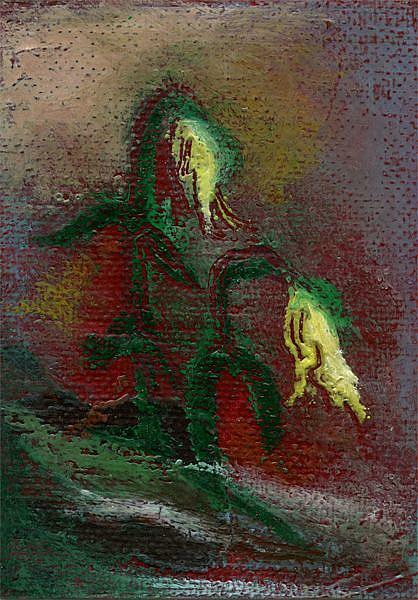 This small oil pastel painting expresses the quiet nodding character of the blossoms of this plant named for the uvula and used to remedy sore throats.